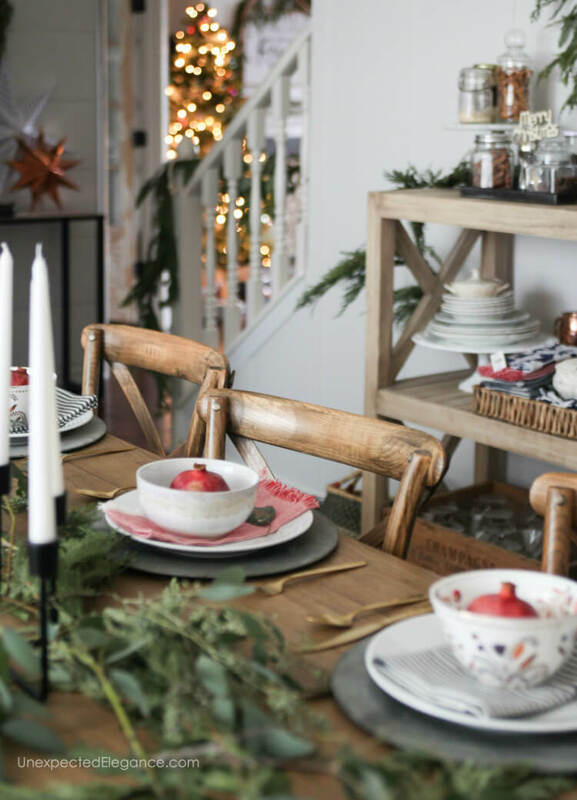 Get some Christmas dining room decor ideas for quick and easy ways to create a special tablescape without spending a lot of time. I can’t even express to you how excited I am about next week! I love Christmas, but that’s really not what has me so excited…I can.not.wait for the week between Christmas and New Year. If you have kids, you might feel the same way. We are so busy with activities and school and work and life, that we seem to be in constant motion from the start of school until around December 23. However, that one magical week, everything slows down. It’s glorious. So, what does that have to do with my dining room? EVERYTHING. 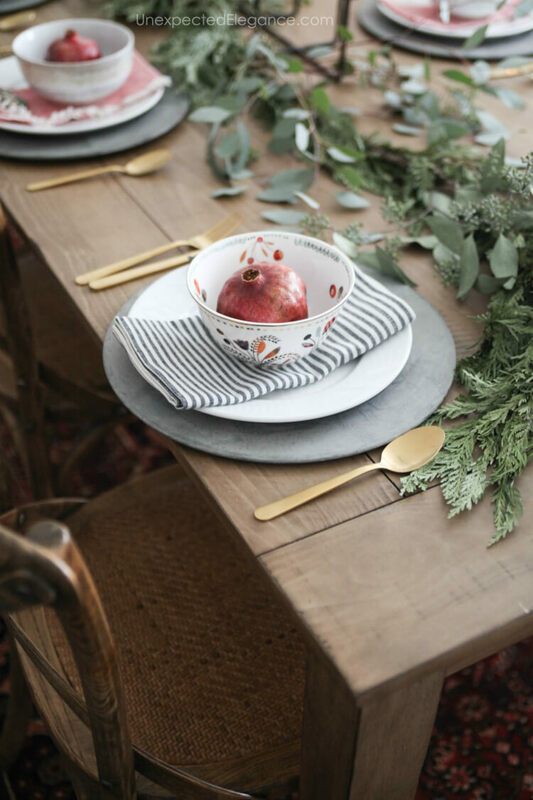 It means that we will have time to set the table and linger a little longer after our meals (unlike most evenings when we are rushing to clean up before we are all finished eating). This year my parents will be visiting and having Christmas dinner with us, so I want to make it special (without spending a lot of time). 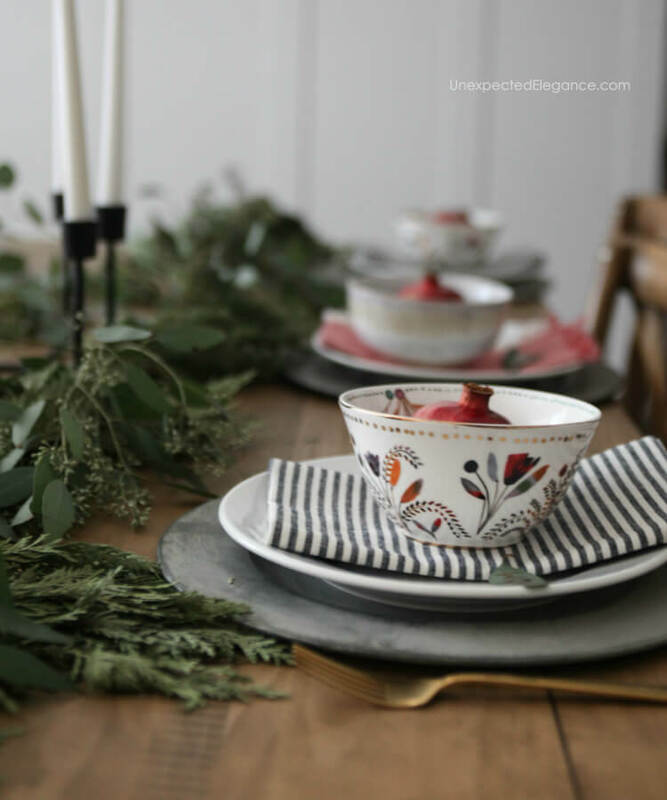 I love adding a simple garland or sprigs of eucalyptus the center of the table. 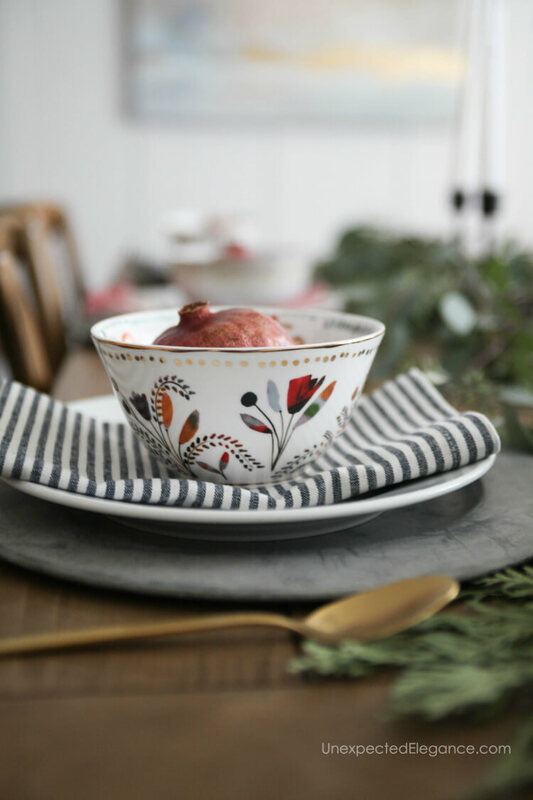 It adds some color and texture but still allows for dishes to be placed around it. 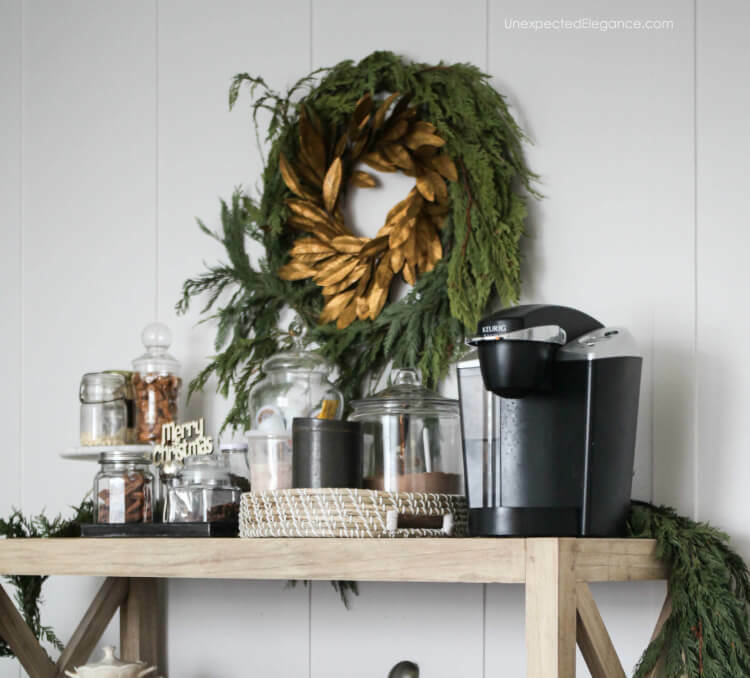 You can check out my post about decorating with greenery here. The only time of year I make place cards is for holiday meals. They are a special touch and add a personal element. However, I try to keep it super simple. This year I just used a gold pen and wrote everyone’s name on a eucalyptus leaf that I grabbed from the center of the table. Lastly, I finished it off with a tapered candle holder, I found here. 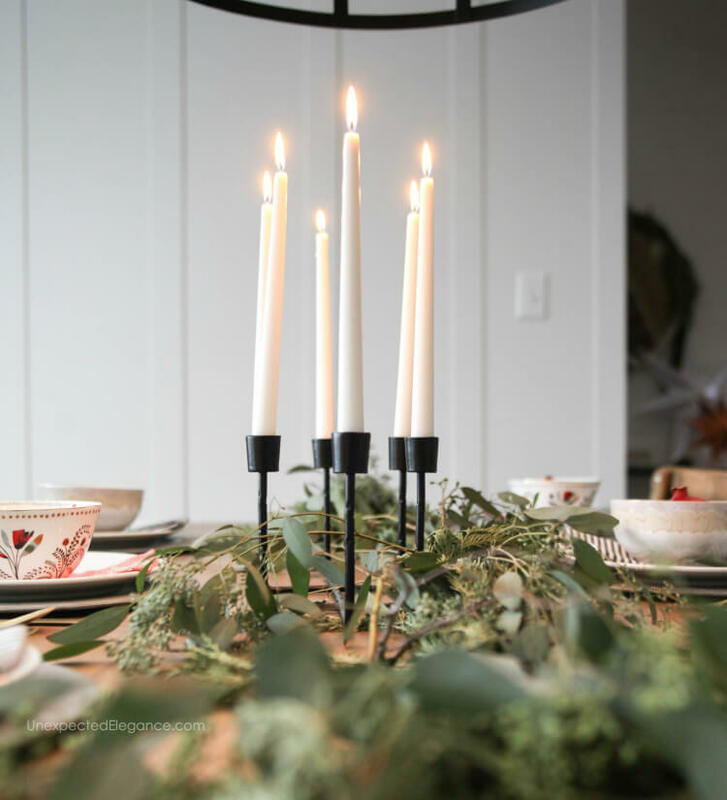 We definitely don’t eat by candlelight any other time of the year, so it just makes the meal a little more special. As a bonus, I set up a hot chocolate bar in our dining room every year. The whole family loves it and it’s perfect for after a meal or coming in from the cold! 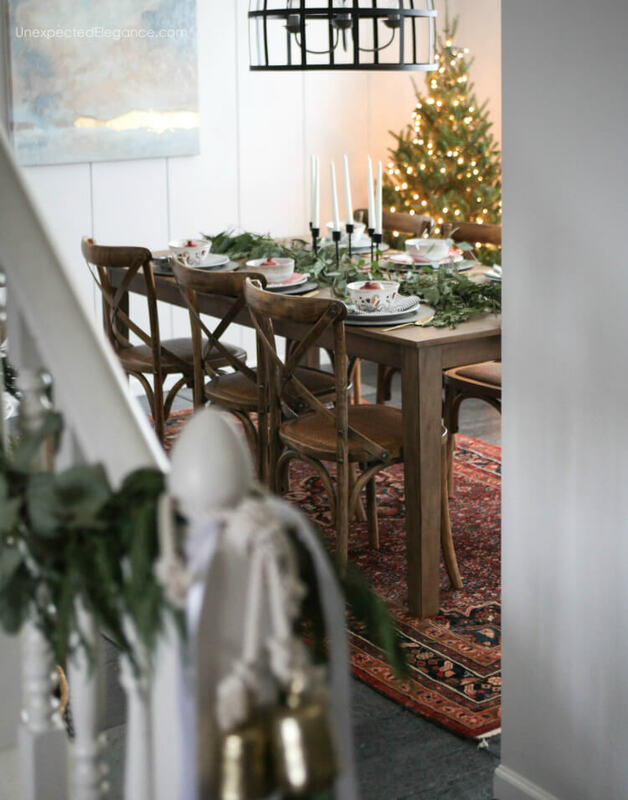 The dining table is one of my favorite spots to decorate at Christmas! I love impressing my guests with different designs each year. 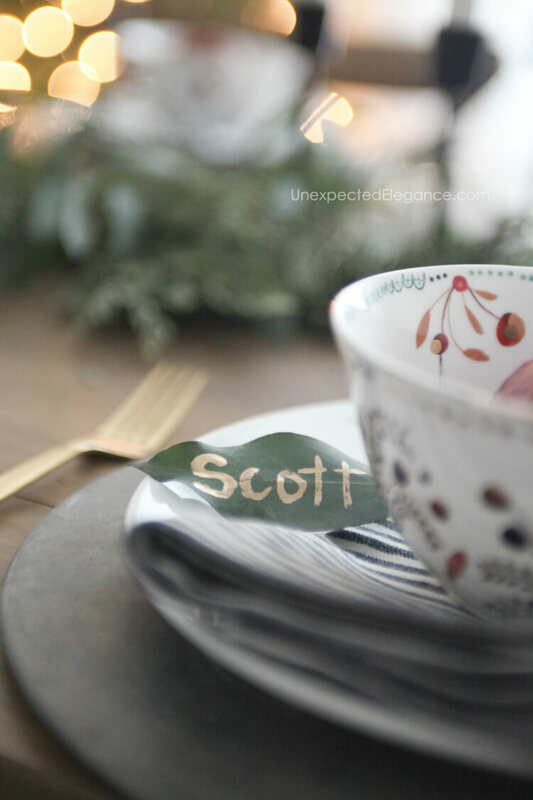 I love the leaf name tag idea and I’ll certainly be using it this christmas !